Wajee Mara Camp features open camping grounds where you can pitch your own tent. The area is large enough to be zoned into individual private areas with a cooking and dinning section. In addition they have strategically located convenience facilities (bathrooms and shower block) at close quarters.The camping grounds are famous with back-packers and other budget outdoor adventure enthusiasts. MEALS FOR CAMPERS CAN BE ORGANIZED FROM THE MAIN KITCHEN AT A FEE. TOILET AND SHOWER BLOCKS ARE IN CLOSE PROXIMITY TO THE CAMPING GROUNDS FOR CONVENIENCE. 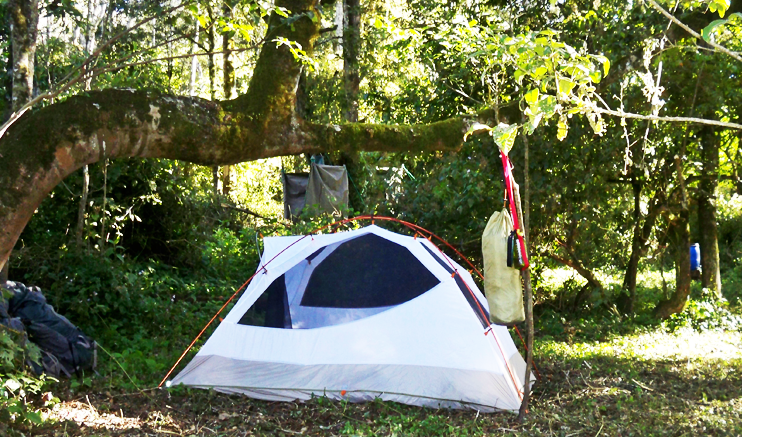 CAMPING GROUNDS ARE SPACIOUS AND IN A COOL SHADED AREA. LITTER BINS ARE PLACED AROUND THE CAMPING GROUNDS FOR YOUR CONVENIENCE. DO NOT LEAVE VALUABLES [MONEY/PASSPORTS/CAMERAS/JEWELLERY] LYING AROUND.